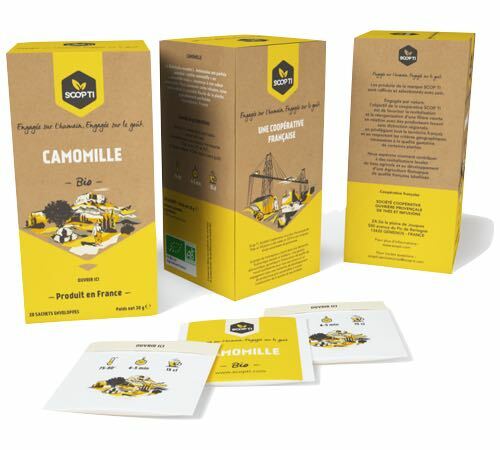 This organic Chamomile infusion by SCOP TI recipe uses 100% natural ingredients. Made in France. Caffeine-free: ideal in the evening to relax. 20 individually-wrapped sachets. 1336 is the equivalent to 3 years and 241 days…in other words, the length of the stand-off that took place between a little mouse (the employees of the Fralib factory) and a big elephant (the the Anglo-Dutch multinational company Unilever : the number 1 manufacturer of ice cream and tea in the world: Lipton, etc.). A few kilometres from Marseille, employees fought to keep their jobs and factory open in Gémenos, which had been destined for closure. 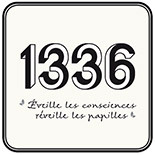 After raising their concerns during three consecutive summers, and following a 1336-day exemplary campaign, the ex-employees of Fralib finally won, taking over the SCOP-TI (Société Coopérative Ouvrière Provençale de Thés et d'Infusions) factory and launching the 1336 brand of teas and infusions. A symbolic brand of black teas and 100% naturally-flavoured infusions. All of the company's teas and infusions are manufactured in Gémenos, near Marseille, by around 60 employees from the SCOP-TI cooperative.